However, something was clearly amiss. As the archeological findings increased and more and more details about the past civilizations emerged, the materialist thought of evolving human civilizations began falling apart at the seams. 40.000 year- old flutes showed that humans –at a time when the evolutionists wrongly claimed that they were primitive- made music, played it with the instruments they built, had fun, produced art and wore jewelry. In other words, they were like us and not primitive. Then scientists were confounded by the discovery of cave paintings that date back 30,000 years. These paintings and the paints used to create them were so impressive, they were clear evidence that people of the time were very advanced in their artistic skills. This was once again at a time when evolutionist claimed they were grunting primitive half-humans. However, these people were actually creating abstract art. Moreover, the paints they used were so durable that their art survived even after thousands of years. Wil Roebroeks, an expert in the archaeology of early humans from Leiden University in the Netherlands, expresses his surprise at this turn of events and admits: “…humans were more or less comparable to you and me.” Actually, they weren’t more or less comparable; they were the same as us. It is important to note here that many of our paintings today probably will not survive even maybe one thousand years. In that case, later civilizations can think we were primitive because nothing lasted to prove our advanced state of culture. When we apply this thinking to the past civilizations, it is highly likely that they also had advanced cultures but many of their achievements were lost to the destroying effect of passing time. Then there is the Göbekli Tepe, which the Smithsonian Institute says ‘upends the conventional view of the rise of civilization.’ This is a site in Turkey that stunned the world in 1994 when a German archeologist revealed its importance. Göbekli Tepe is a 11,000 year -old site that proves that people of the time were not hunter-gatherers as previously imagined, but were rather highly sophisticated individuals who built temples in line with astronomical events, engaged in agriculture, created art by carving stones with intricate designs and used labor to carry huge stone blocks, some of which weigh as much as 50 tons. Scientists are still struggling to come to grips with the implications of these findings. 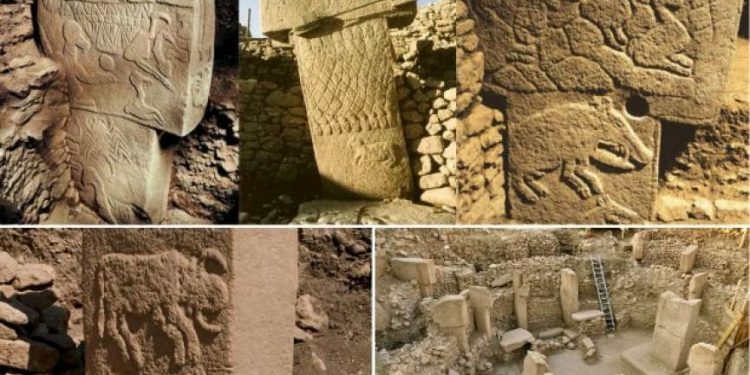 Gary Rollefson, an archeologist with Whitman College in Washington says: ”With Göbekli Tepe, everything new that comes up destroys what we thought before. It’s nice to find this stuff, but it would be nice to understand it, too.” Another study suggests that the huge megalithic structures found at the site ‘may have been oriented – or even originally constructed – to “celebrate” and successively follow the appearance of a “new,” extremely brilliant star in the southern skies: Sirius.’ In other words, at a time when humans were supposed to be primitive according to the materialistic understanding, these people were highly civilized, studied astronomy, engaged in agriculture and produced art on stones. This makes one wonder: If stones are the only structures that are able to survive after thousands of years, one can only guess at the intricate art that was produced by these people on other, more fragile objects.